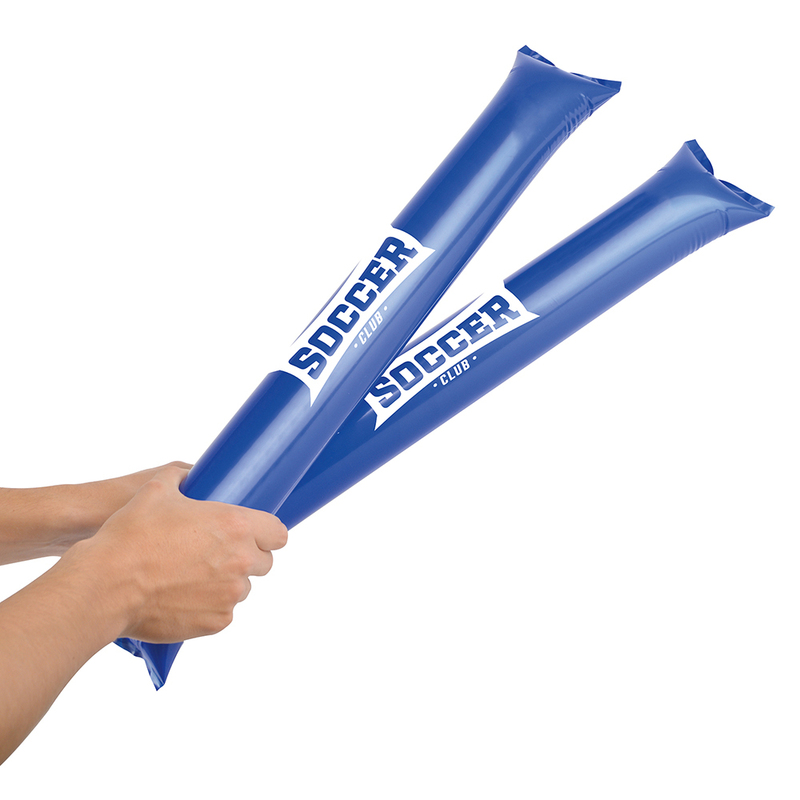 Model:ZS0003 BANG BANG STICKS Description: inflate the 2 sticks and bang them together to create a noise. 2 bang bang sticks in a pack and a straw to inflate included. Colour Options: Bespoke Product Data Specification Product Size 600 x 100 mm Product Weight Ink Colours If Applicable N/A Additional Information Price includes a 1 colour print to both sides (same logo). Set up and carriage are additional. Lead Times 20-30 days from approval of artwork Personalisation Data Max Personalisation Pad/Screen Print Area 595 x 100 mm Engraving Area N/A Full Colour Area 595 x 100 mm Embroided Area N/A Max Spot Colours 4 Foil Block Embossing N/A Notes Prices inclusive of single colour print to 1 position unless stated. Set up and carriage are additional. Model:TA0221 BASIC YO-YO Description: A classic novelty toy to carry your brand. Perfect for event planning or for party industries. Available in black, red and white. Colour Options: Blue,Red,White Product Data Specification Product Size 50mm dia Product Weight Ink Colours If Applicable Additional Information Price includes 1 colour print to 1 position only. Price excludes Carriage & Origination. Lead Times 5 working days from artwork approval. Personalisation Data Max Personalisation Pad/Screen Print Area 43 mm dia Engraving Area Full Colour Area N/A Embroided Area N/A Max Spot Colours 1 Foil Block Embossing N/A Notes Price includes a 1 colour print to 1 position. Set up and carriage are additional. 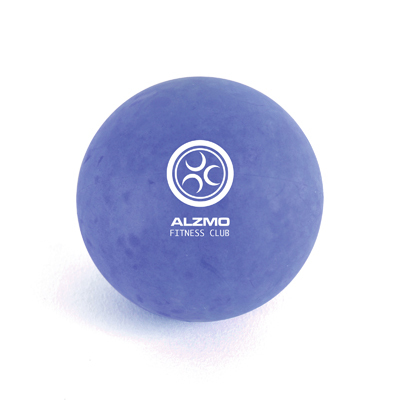 Model:TA0217 BOUNCY BALL Description: Coloured rubber bouncy ball. Not suitable for pets. 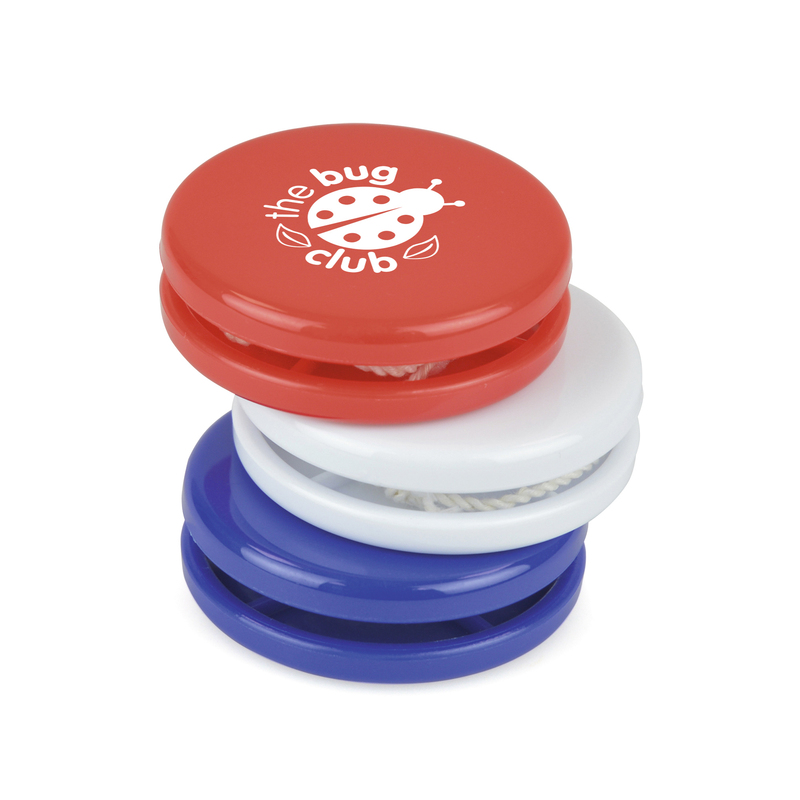 Colour Options: Blue,Red,White Product Data Specification Product Size 55 mm dia. Product Weight Ink Colours If Applicable N/A Additional Information Price includes 1 colour print to 1 position only. Price excludes Carriage & Origination. Lead Times 5 working days from artwork approval. Personalisation Data Max Personalisation Pad/Screen Print Area 25 mm dia Engraving Area N/A Full Colour Area 23 mm dia Embroided Area N/A Max Spot Colours 1 Foil Block Embossing N/A Notes Price includes a 1 colour print to 1 position. Set up and carriage are additional. 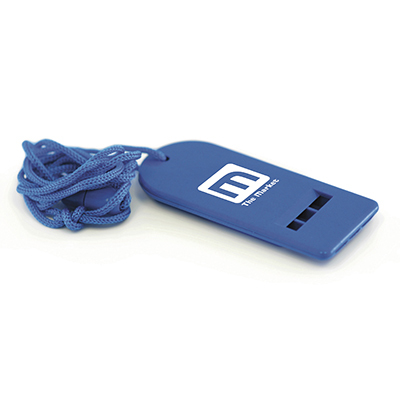 Model:TA0214 COW BELL Description: Metal cow bell with lanyard and safety break. 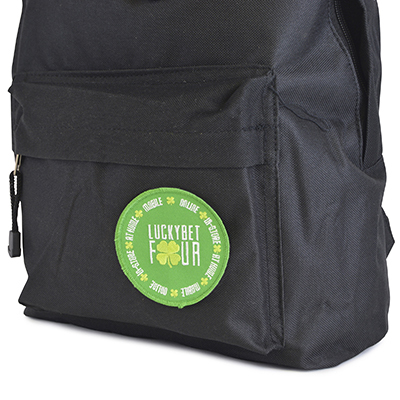 Available in 3 colours with matching lanyard. Colour Options: White,Blue,Red Product Data Specification Product Size 80 x 60 x 85 mm Product Weight Ink Colours If Applicable N/A Additional Information Price includes 1 colour print to 1 position only. Price excludes Carriage & Origination. Lead Times 5 working days from artwork approval Personalisation Data Max Personalisation Pad/Screen Print Area 45 x 25 mm Engraving Area N/A Full Colour Area N/A Embroided Area N/A Max Spot Colours 2 Foil Block Embossing N/A Notes Prices inclusive of single colour print to 1 position unless stated. Set up and carriage are additional. Model:ZF0005 EMBROIDERED BADGE Description: Embroidered badge, ideal for sewing on your clothing or a bag. Colour Options: Bespoke Product Data Specification Product Size 80 x 80 mm Product Weight Ink Colours If Applicable N/A Additional Information Price includes 5k stitches to 1 position . Set up and carriage are additional. Lead Times 15-20 working days from approval of artwork Personalisation Data Max Personalisation Pad/Screen Print Area N/A Engraving Area N/A Full Colour Area N/A Embroided Area 5k stitches Max Spot Colours N/A Foil Block Embossing N/A Notes Prices inclusive embroidery upto 5k stitches. Set up and carriage are additional. 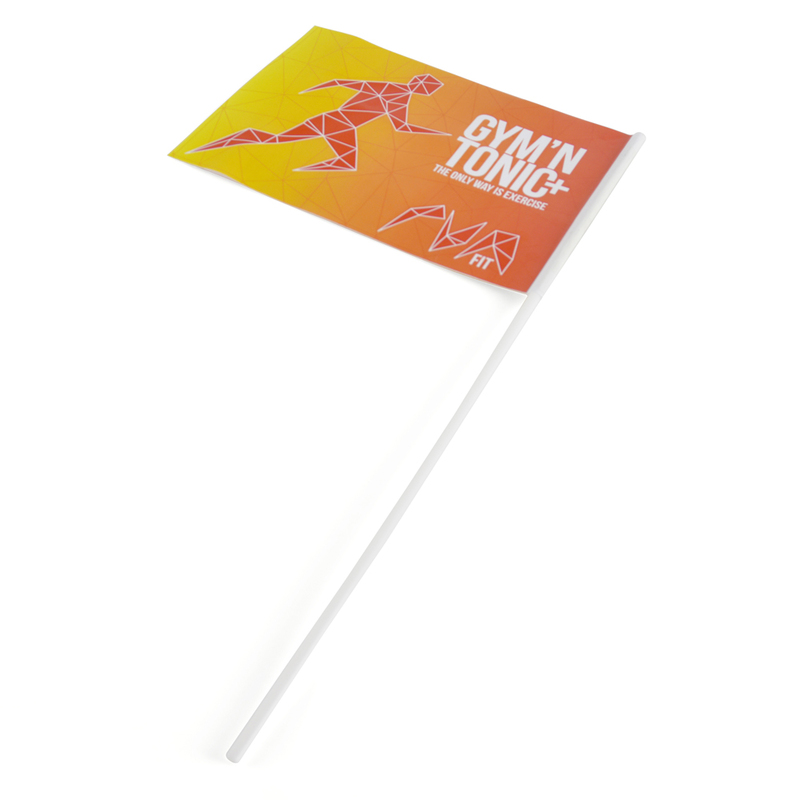 Model:ZZ1054 FLAG Description: Paper flag with plastic stick. 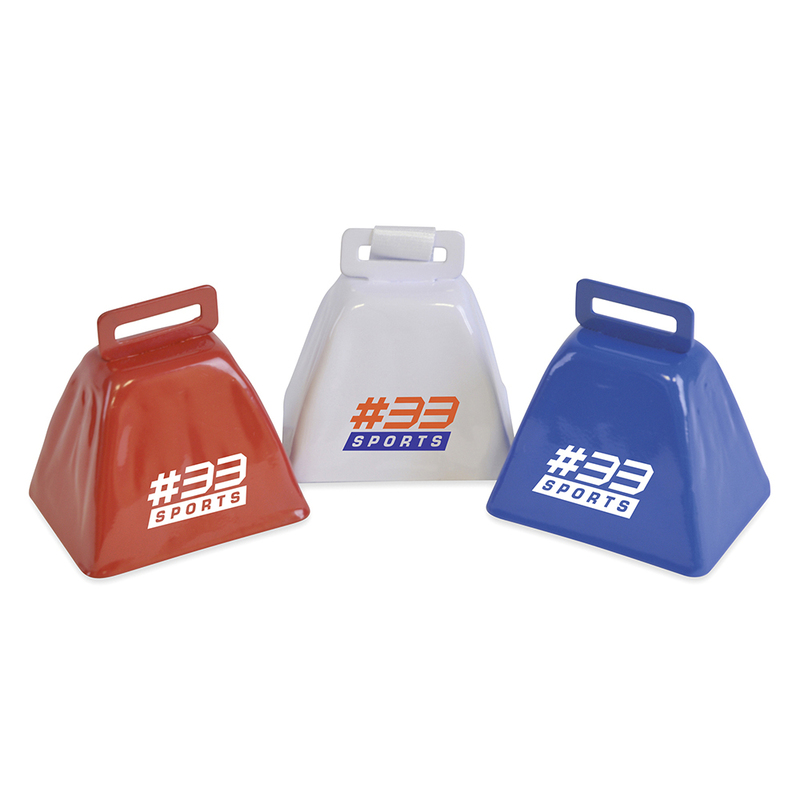 Cost effective promotional item. Printing to both sides. 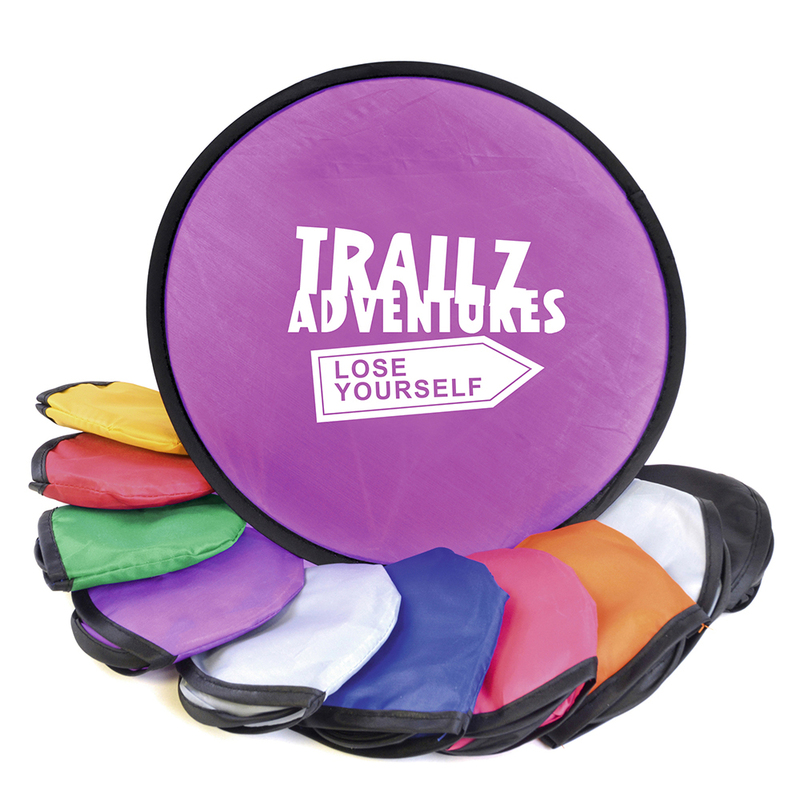 Perfect for sports events and supporters clubs! Colour Options: Bespoke Product Data Specification Product Size 210 x 400mm (including stick) Product Weight Ink Colours If Applicable N/A Additional Information Price includes a full colour logo to both sides (same design). Set up and carriage are additional. Lead Times 20-25 days from approval of artwork Personalisation Data Max Personalisation Pad/Screen Print Area 210 x 150 mm Engraving Area N/A Full Colour Area 210 x 150 mm Embroided Area N/A Max Spot Colours 4,CMYK Foil Block Embossing N/A Notes Prices inclusive of full colour print to 1 position. Set up and carriage are additional. Model:TA0206 FLAT WHISTLE Description: Flat plastic whistle with neck cord. Available in three colours. Colour Options: Blue,White,Red Product Data Specification Product Size 70 x 28 x 8 mm Product Weight Ink Colours If Applicable N/A Additional Information Price includes 1 colour print to 1 position only. Price excludes Carriage & Origination. Lead Times 5 working days from artwork approval Personalisation Data Max Personalisation Pad/Screen Print Area 22 x 35 mm Engraving Area N/A Full Colour Area 22 x 35 mm Embroided Area N/A Max Spot Colours 3 Foil Block Embossing N/A Notes Price includes a 1 colour print to 1 position. Set up and carriage are additional. 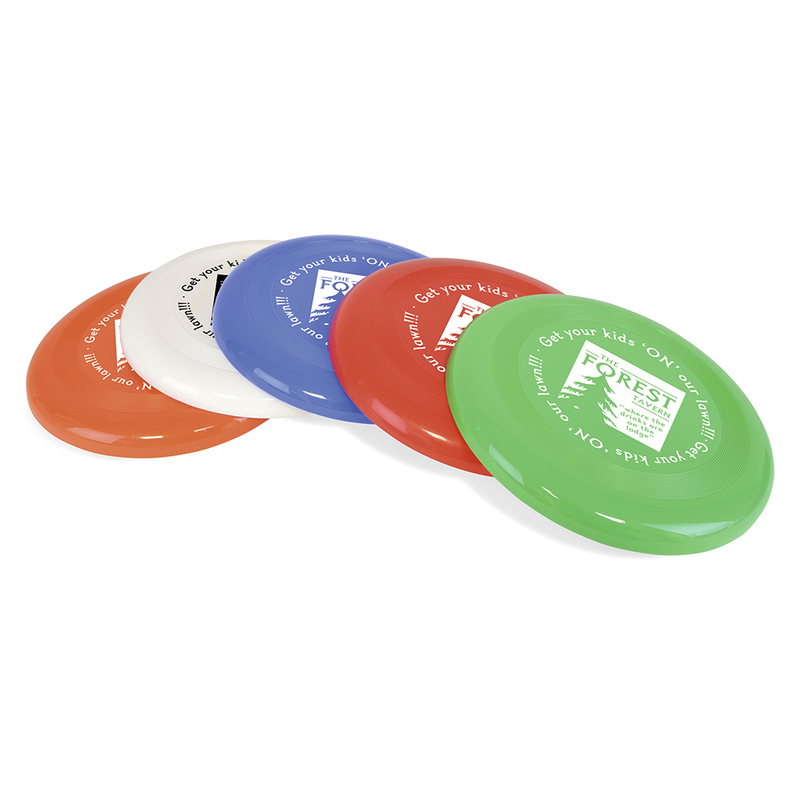 Model:TA0200 FLYING DISC Description: Basic plastic flying disc. Available in 5 colours Colour Options: Amber,Blue,Green,Red,White Product Data Specification Product Size 19 x 225 mm dia. Product Weight Ink Colours If Applicable N/A Additional Information Price includes 1 colour print to 1 position only. Price excludes Carriage & Origination. Lead Times 5 working days from artwork approval Personalisation Data Max Personalisation Pad/Screen Print Area 125 mm dia Engraving Area N/A Full Colour Area 125 mm dia Embroided Area N/A Max Spot Colours 1 Foil Block Embossing N/A Notes Price includes a 1 colour print to 1 position. Set up and carriage are additional. Model:TA0211 FOLDABLE FLYING DISC Description: Folding nylon flying disc in pouch. Available in a variety of colours. Colour Options: Amber,Black,Blue,Green,Grey,Pink,Purple,Red,White,Yellow Product Data Specification Product Size 2 x 247 mm dia. (disc), 95 x 86 x 10 mm (pouch) Product Weight Ink Colours If Applicable N/A Additional Information Price includes 1 colour print to 1 position only. Price excludes Carriage & Origination. Lead Times 5 working days from artwork approval Personalisation Data Max Personalisation Pad/Screen Print Area 150 mm dia (disc), 45 x 50 mm (pouch) Engraving Area N/A Full Colour Area N/A Embroided Area N/A Max Spot Colours 1 Foil Block Embossing N/A Notes Price includes a 1 colour print to 1 position. Set up and carriage are additional. 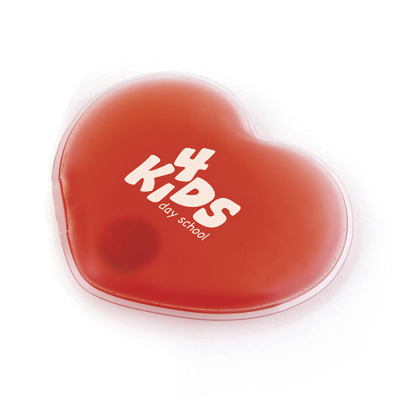 Model:ZP0081 HANDWARMER Description: Reusable hand warmer made from PVC. Simply click the internal metal disc and a chain reaction takes place producing heat! Colour Options: Translucent Product Data Specification Product Size 80 x 80 mm Product Weight Ink Colours If Applicable N/A Additional Information Price includes a 1 colour print to 1 position. Set up and carriage are additional. Lead Times 20-25 days from approval of artwork Personalisation Data Max Personalisation Pad/Screen Print Area 80 x 80 mm Engraving Area 80 x 80 mm Full Colour Area 80 x 80 mm Embroided Area N/A Max Spot Colours 1 Foil Block Embossing N/A Notes Prices inclusive of single colour print to 1 position unless stated. Set up and carriage are additional.